Simon & Schuster Books for Young Readers, 9781481461610, 448pp. 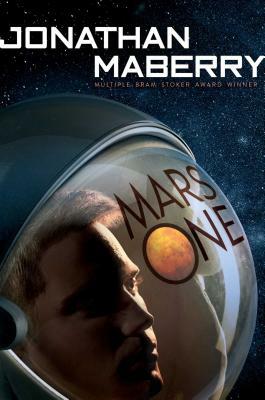 Go on the adventure of a lifetime with a teen and his family after they are selected to colonize Mars in this thrilling new novel from multiple Bram Stoker Award–winning author Jonathan Maberry. Tristan has known that he and his family were going to be on the first mission to colonize Mars since he was twelve years old, and he has been training ever since. However, knowing that he would be leaving for Mars with no plan to return didn’t stop him from falling in love with Izzy. But now, at sixteen, it’s time to leave Earth, and he’s forced to face what he must leave behind in exchange for an uncertain future. When the news hits that another ship is already headed to colonize Mars, and the NeoLuddite terrorist group begins threatening the Mars One project, the mission’s purpose is called into question. Is this all worth it?